Results 1291 to 1300 out of 1339. Here are our three most popular articles from the politics section in 2013. For those who have already read them, a big thank you from the Macropolis team. For those reading them for the first time, we hope it gives you an idea of what we do. Greece’s fragile coalition survived two tense votes in Parliament on Saturday to close out a particularly challenging year but did so in the knowledge that the respite it can enjouy will be brief. A year that is likely to be even tougher lies ahead. Greece’s coalition has two more hurdles to clear before it stumbles over the finishing line at the end of the year, exhausted and battered but not quite yet beaten. With just over five months to go until European Parliament and local elections are held in Greece, the country’s centre left is in a state of confusion and the future of its main players, PASOK and Democratic Left (DIMAR), is unclear. An effort to reinvigorate Greece's centre left took another step this week but doubts persist about whether the initiative, led by 58 personalities from various walks of life, will be able to have a lasting impact. The challenge SYRIZA leader Alexis Tsipras faces in balancing his effort to prepare his party for power while taming or satisfying its more radical elements has been emphasised again after the group’s left wing rekindled the debate about Greece leaving the euro. 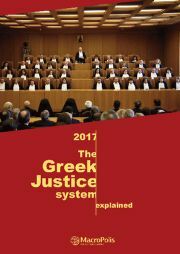 Greece’s coalition completed one of its key tasks for December by obtaining Parliament’s approval for the 2014 budget early on Sunday but was also given an acute reminder of the challenges that still remain as the European Commission confirmed there was no chance of the troika’s Greek program review concluding this month. Prime Minister Antonis Samaras received timely words of encouragement from European Commission President Jose Manuel Barroso on Wednesday but his government still finds itself in a tricky position ahead of the troika's return to Athens later this month, when a final decision will have to be taken on home foreclosures. The New Democracy-PASOK coalition enters this December one of its most crucial months since the June 2012 elections, with Greek politics in flux and public opinion finely balanced, according to the latest opinion polls. Tax is one of the most sensitive issues in Greece at the moment as result of four years of repeated hikes so it was no surprise that Finance Minister Yiannis Stournaras’s insistence this week that Greeks are not overtaxed caused a political ruction.